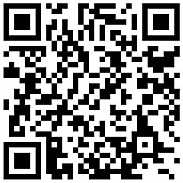 Philadelphia, PA - Antiques.com, the fastest growing antique website in the world, announced today that they have released an Android application - Antique Finder. Antique Finder allows users to search through the entire Antiques.com classifieds database, view search results, plus detail of each item, including images. "This is a great tool for finding antiques" stated Mark Laseau, site manager. "or simply just for entertainment, if you're an antiques enthusiast. People have their phones with them everywhere but their computers are generally at home or in their office. Antique Finder brings antiques to you wherever you are." Antiques.com is the only major website that has released a phone app. They anticipate releasing an iPhone version of Antique Finder in January 2011. Android phones currently outpace iPhone's with over 35 million units sold. "The droid market is huge and growing fast," Laseau added, "and we have over 1200 vendors currently adding items everyday to our classifieds. Taking Antiques.com to mobile devices was a logical step for us and we intend to stay ahead of the curve going forward." Philadelphia, PA - Antiques.com, the fastest growing antique website in the world, announced today that they have added over 50,000 classified antique items in just four months. The Antiques.com classifieds include over 200 categories ranging from Asian Antiques, to Antique Toys to Antique Pottery. "Our growth is starting to take on exponential proportions" stated Mark Laseau, site manager. "Traffic is really starting to take off and we're looking towards 2011 to expand our brand and add thousands of vendors to our growing family." Antiques.com is the only major website that allows vendors to listed unlimited items free of charge. The Antiques.com model is to provide a marketplace for vendors of antiques, collectibles and fine arts to market their wares, while also providing collectors valuable reference resources. "We currently have over 350 vendors who have taken advantage of our free classifieds," Laseau added, "and we believe that by the end of 2011 that number will be in excess of 10,000 vendors. You can't beat free." Philadelphia, PA - Antiques.com announced today the release of the third edition of the video series "The Art of Picking" with Reyne Haines. The four minute and forty second segment takes Reyne to the Summer Antiques Show at the Big Red Barn in Round Top, TX - population 77. Reyne interviews a dealer who has a collection of Civil War letters from the Wars most unlucky soldier, James Miller, who was shot in the groin in one battle, recovered only to be shot in the forehead in a subsequent battle, left for dead and then buried in a mass grave. Mr. Miller crawled out of the mass grave and again, recovered. By this time the Miller family had been notified of his death. He was aware of this and wrote to his family informing them that he was not dead. Soon thereafter, he ended up in prison. In another interview, Reyne discusses the value of provenance when appraising an antique for purchase. Stories about a piece, such as the story of James Miller, can impact the value of an antique by as much as 40%. Reyne interviews a dealer who is showing furniture which was made for the 1922 fair in Munich, Germany. The pieces came with a tag on the bag which clearly demonstrates their origin. Future releases include the San Francisco Bay area, a high-end thrift shop and a large antiques dealer. 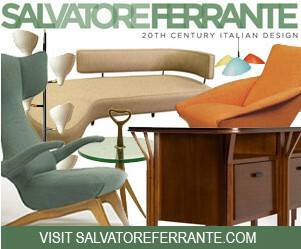 Philadelphia, PA - Antiques.com announced today that they have entered into a partnership with Antiquarian Traders, a recognized leader in the global antique and fine arts business, to promote Antiquarian Traders entire inventory of 1100 items on Antiques.com. "We're excited to have Antiquarian Traders on board," exclaimed manager, Mark Laseau. "They are well-known and respected in the industry and their inventory is extraordinary." Antiquarian Traders specializes in high-end antiques spread across several categories, including furniture, books, paintings, pianos, rugs, silver and many others. Located in Beverly Hills, Antiquarian Traders has supplied antique pieces to movie production companies on several occasions and has sold dozens of items to various celebrities including Michael Jackson, George W. Bush and Sylvester Stallone. Antiquarian Traders has the distinction of having some of their pieces included in The White House collection. Antiques.com will update all Antiquarian Traders records directly from their website, thus greatly reducing the effort required to manage inventory. Mr. Laseau explained, "Our value proposition to large vendors such as Antiquarian Traders is that we update their records on Antiques.com directly from their website. This provides them with added exposure without added work". Founder and owner, Mark Slotkin, recently closed his large retail store in Beverly Hills because his business has become an online business. "It made no sense for us to continue to operate both a 100,000 square foot warehouse and a large retail store when the vast majority of our business is done online," stated Mr. Slotkin. "We look forward to a long and prosperous relationship with Antiques.com. They are doing things that other sites have never done and they are doing the standard things better than the established sites." Philadelphia, PA - Antiques.com announced today that they have surpassed 18,000 classified antique items in under two months, making Antiques.com the fastest growing website in the online antique, collectibles and fine arts space. The Antiques.com classified section is a free "antiques for sale" marketplace. "We thought things would move slower because of the economy, so we're very pleased with our progress thus far," commented site manager, Mark Laseau, "Our goal was 25,000 items by year's end but now we expect to reach 100,000 or more". Launched February 1, 2010, Antiques.com has quickly joined the elite listing websites of the online antiques industry, whose membership includes Rubylane.com, GoAntiques.com, Trocadero.com and eBay.com. "The worldwide market for antiques is absolutely enormous, Mr. Laseau continued, "and there is no doubt that to succeed in this market we must become a destination for commerce, no matter how terrific our ancillary value may be. That is our model and we feel like we're heading in the right direction." Philadelphia, PA - Antiques.com has released the first two video episodes of "The Art of Picking" created by Reyne Haines, renowned appraiser and antique expert. The video series is aimed at amateur collectors who are seeking an advantage in the marketplace. The series will air new segments every other week and can be found exclusively on Antiques.com. "With the success of American Pickers, antique picking has become a weekend hobby for millions of Americans. Bargain hunting has been a favorite pastime of collectors for centuries. The thrill of the find, and the stories we see in the media highlighting those finds at major auction houses, keeps collectors searching for their next great acquisition," said Mark Laseau, manager of Antiques.com. "We approached our picking videos with the intent of providing valuable information to amateur pickers. With the skills Reyne conveys, regular folks will have a much better shot at making picking a profitable adventure,". The "Art of Picking" videos use real America as a backdrop, as Ms. Haines travels between various flea markets and shows hunting opportunities to impart wisdom by example. Each episode follows a theme that provides collectors with overall perspective while simultaneously drilling down into the details of the antique and collectibles world, so that gems can be detected lurking amongst the junk. "I'm always on the hunt for hidden treasures!" says host, Reyne Haines. "I find it exciting to meet other collectors and to hear their stories from finds they've made over the years. I can only hope one day we are there taping when another hidden Declaration of Independence is discovered!" Philadelphia, PA - Antiques.com has announced reaching an important milestone with their newly launched "Classified" section - 5000 items added in the first month. "We're very pleased with the progress of the Antiques.com Classified section and the overall positive reaction of vendors," stated Mark Laseau, Manager of Antiques.com, "we have big plans for classifieds in the future and, to that end, have developed features that are unique to the industry." Antique and collectibles vendors can post unlimited items free of charge on Antiques.com, as well as profile their business via a custom vendor page, which includes a variety of important information about the vendor. Individuals can also post items for sale free of charge. "Our plan is to become the hub of antique commerce on the Internet by providing vendors and individuals the best possible framework for promoting their inventory," Mark Laseau, added, "that said, we know that many vendors are overwhelmed with updating multiple sites, so we have our work cut out for us. In the next two weeks we will be announcing a new service that will greatly enhance our potential in this market." Philadelphia, PA - Antiques.com, has announced an agreement with nationally known appraiser and antique expert Reyne Haines to produce a series of antique "picking" videos. The series will be called "The Art of Picking" and the first two episodes are scheduled for release in early June. "These are primarily educational videos," explained Mark Laseau, Manager of Antiques.com, "the purpose of which is to provide our users with tools that they can then use to become successful pickers and collectors." Each video segment will run between three to four minutes and will focus on various subjects such as preparation, picking tools, evaluating restorations and spotting fakes. Philadelphia, PA - Antiques.com has launched Antiques.com, a virtual antique mall and information website for collecting enthusiasts. Recognizing the continued growing interest in collecting, Antiques.com created a place for dealers and collectors to network, share information on upcoming shows & auctions, post classified listings and publish informative articles written by noted experts in the world of collectibles. Dealers from around the world can upload information about their brick & mortar storefronts, and buyers can search for shops by state, zip or by store name. Currently, there are over 34,000 dealers, appraisers, flea markets and auction houses listed and growing daily. The classifieds section offers dealers or individuals a venue to list a single item for sale, or their entire inventory. Creating an account to list items is easy and free. All merchandise can be viewed by category, or searched by keywords or price range. To help educate collectors, Antiques.com offers an online magazine with articles and videos on a variety of topics such as fine art, antiques, toys, collectibles, and jewelry. Weekly articles on "picking" antiques, reproduction information, and press releases covering recent auction sales are also featured in the online magazine. "We have big plans for Antiques.com," according to Mark Laseau, Antiques.com Manager, "The market is ripe for a more comprehensive venue online for antique vendors and enthusiasts."